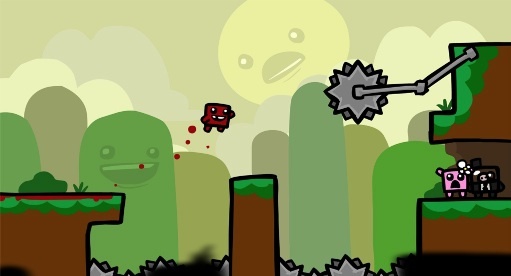 Team Meat announces Super Meat Boy: The Game for iOS devices. Game redesigned for touchscreen controls. A redesigned version of the best-selling Xbox Live Arcade & PC game Super Meat Boy will be making its way to iOS devices, developer Team Meat has confirmed. Edmund McMillen posted an update to the developer's website, explaining that the notoriously tricky game is to be rebuilt from the ground up in order to take advantage of touchscreen controls, rather than be hindered by them. "So as some of you know, we have been playing with the idea of porting SMB on the iPhone for some time," he wrote. "So, we decided to totally remake the whole game instead, from the ground up!" As well as being tailor-made for touchscreen devices, Super Meat Boy: The Game will also feature brand new art and sound. There's no word on a release date yet, but you can see the first screenshot below.